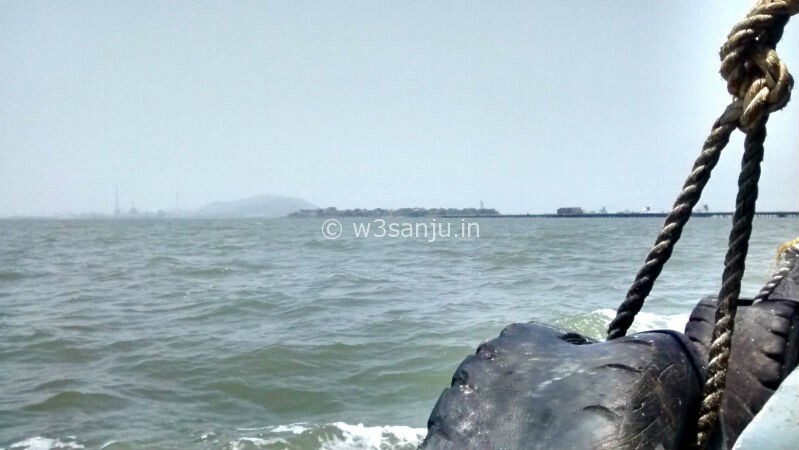 Elephanta (Gharapuri – the city of caves) is one of an island in Arabian sea, about 10 kilometres to the east of the Metropolis city of Mumbai (the commercial capital of India). The ancient cave city of lord Shiva is a UNESCO World Heritage Site since 1987 and maintained by the Archaeological Survey of India. All caves are carved from single stone – in between 5th A.D and 8th A.D. Gharapuri was the old name of the island. There was a single stone elephant sculpture in the entrance of the island, when Portuguese navigators came to this island, hence the new name Elephanta was derived. 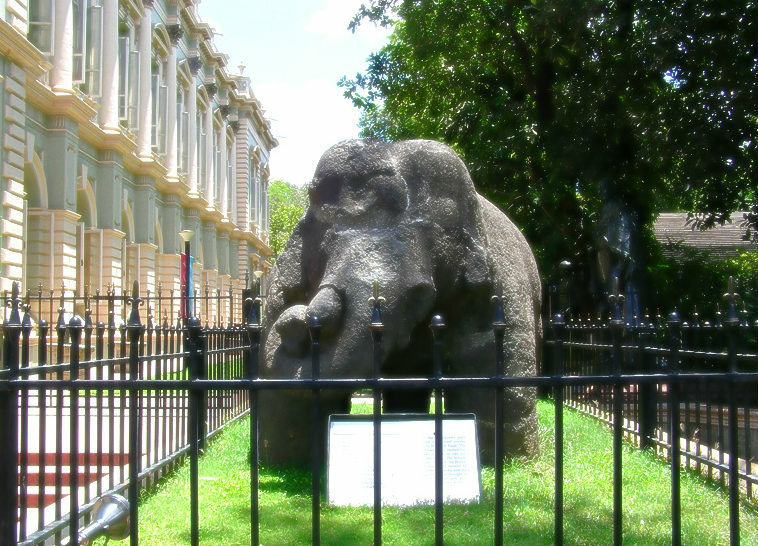 Presently, the elephant statue is housed at Jijamata Garden in Mumbai. 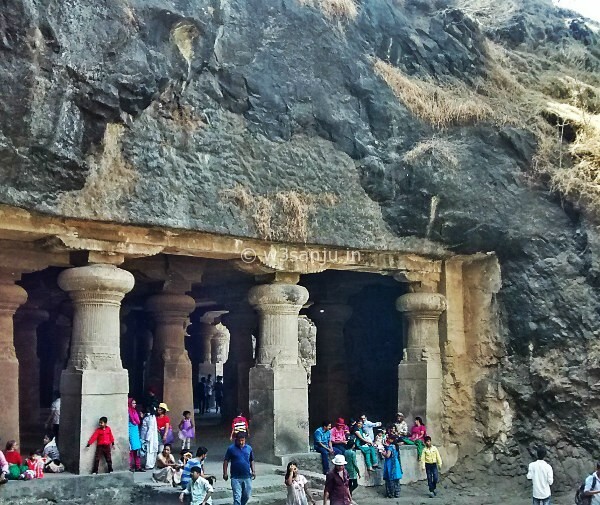 Ancient history of Elephanta caves is a mystery. 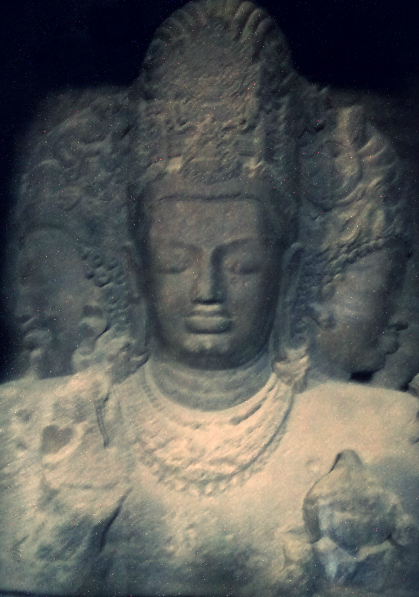 The Elephanta caves are “of unknown date and attribution”. 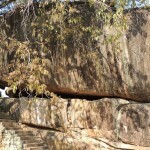 The date of the caves is different according to different Archaeology specialists. There were some inscriptions about the ancient cave city of lord Shiva, which is missing since Portuguese ruling. Different dynasties ruled this island, the Konkan Mauryas, Chalukyas of Badami, Rashtrakutas, Kalyani Chalukyas, Yadavas of Deogiri, Gujarat Sultanate, Portuguese, Marathas and Britain. 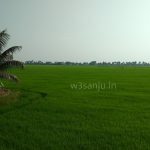 Once it was the capital city of Konkan Mauryas and there was a major port from 2nd B.C. 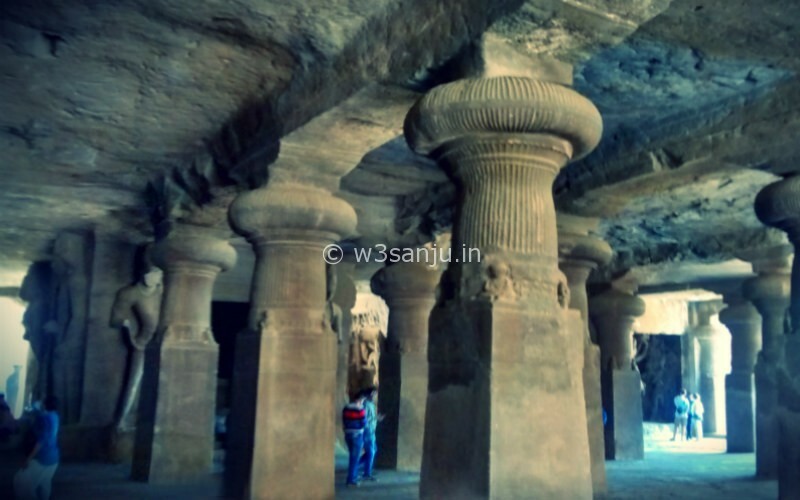 The Kailashnath temple at Ellora and Badami caves has many similarities to Elephanta caves. The Kailashnath temple at Ellora was built by Rashtrakutas and Badami caves built by Chalukyas of Badami. 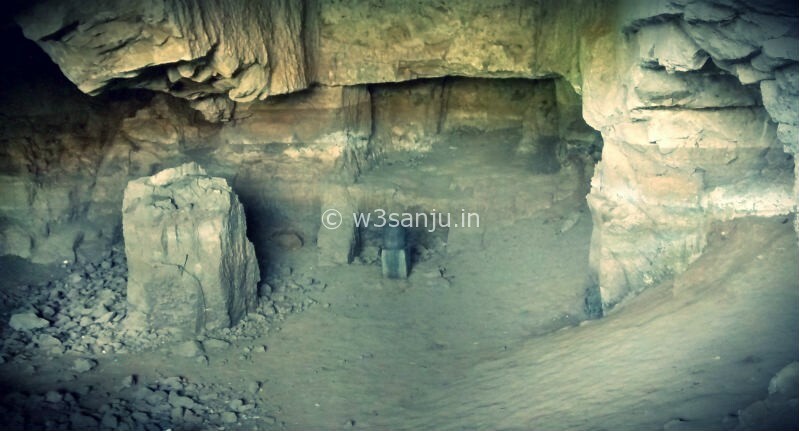 Rashtrakutas were strongly influenced by Lord Shiva,hence contributed for these caves. 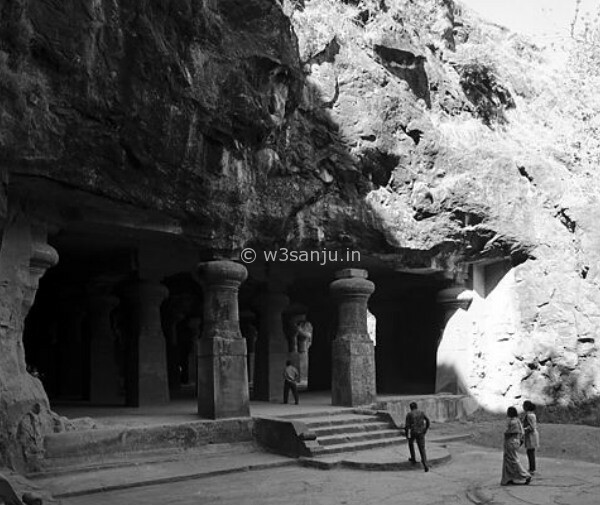 There are two groups of caves in Elephanta Island. All caves were painted (fresco painting) in the past, now only traces are visible.1st group contains five caves and 2nd group contains two caves. 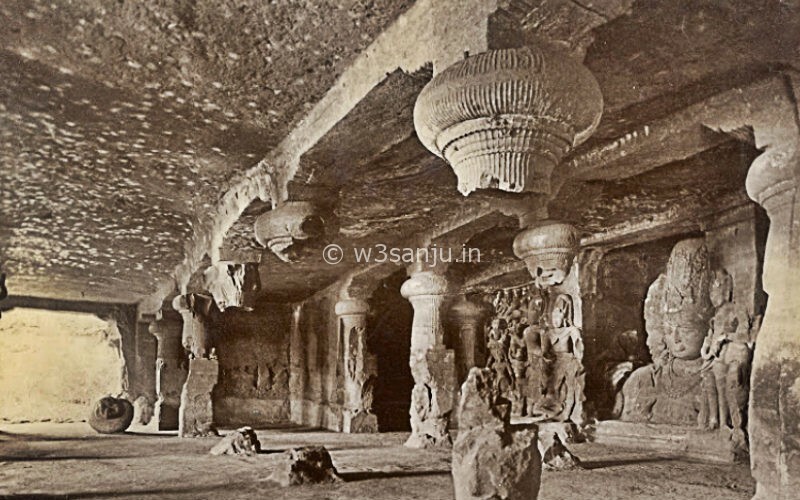 All caves are carved from solid basalt rock, like caves at Ellora and Ajantha. Brahmanical worship had happened, until Portuguese rule began in 1534. They used this island as a watchtower and installed cannons, targeted to see from the top of a hill. There are two British-era cannons at the top. Portuguese army did shooting practice hence there is maximum damage to all sculptures in the caves except Trimurti sculpture in cave 1. Hinduism was declining on Elephanta Island under Portuguese rule. All caves were abandoned and were under vegetation from 16th AD to 20th AD. The annual festival of Shiva – Maha Shivaratri only survived to this day. Charles II of England married daughter of King John IV of Portugal. Portuguese left the island in 1661, since Mumbai which included elephanta island was a part of the dowry. 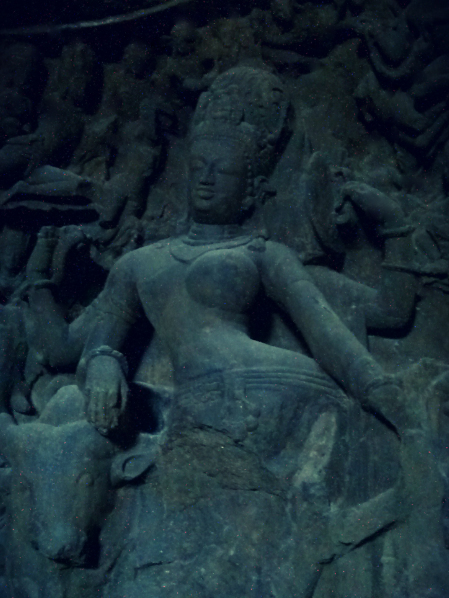 1st cave (Great Cave) is a brilliant example of glorious ancient Hindu civilization. World famous for its carving techniques. There are many forms of Lord Shiva in 1st cave. On the south wall of 1st cave, there is an unforgettable three-headed (Trimurti) sculpture of the Lord Mahadeva, representing three essential functions: Aghora (the destroyer – most powerful in the universe) on left side, Vamadeva (master of joy and beauty) on right side and Tatpurusha (preserver of positive and negative principles of existence) in the center. 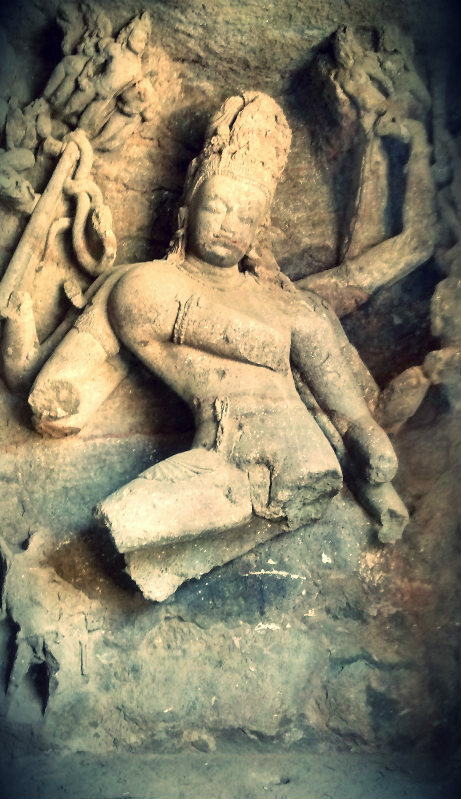 Famous sculptures of Elephanta caves are Trimurti, Ravana shaking the Kailash (same sculpture like cave 16, Kailashnath Temple, Ellora), Shiva-Parvati on Kailash, Ardhanarishvara (half men and half woman), Kalyanasundara (Wedding of Shiva), Shiva Linga, Nataraja (The Cosmic Dancer), Yogishvara (Master of Yoga)and Kartikeya and Ganesha. Cave 2, 3, 4 and 5 are broken, small and unfinished. Cave 6 and 7 are located in the eastern side of the island. These Buddhist caves are hidden from visitors. Cave 6 and 7 need more excavation. Cave 6 was converted into a church by Portuguese during their ruling of Elephanta Island. Presently, ASI and UNESCO are doing maintenance of the caves properly. 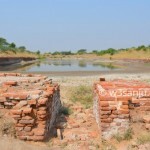 The Underwater Archaeology Wing of the Archaeological Survey of India (ASI) has discovered remains of bricks from which houses were built, stonewalls, Roman Amphoras (pots used to transport a variety of things like olive, dry fruits and spices), coins and broken parts of vessels from shores of elephanta island. Even the sand on the shore, at the north and the east of the Mora bundar, is full of small potsherds. The Roman artefacts date backs to the 4th to 6th centuries. This discovery shows that Elephanta Island was a major port and was trading with the late Roman Empire. 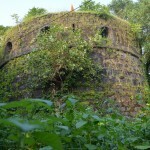 Locals believe there was an underground tunnel from Belapur fort to Elephanta Island. There are 1000+ populations living in 3 villages in Elephanta Island, namely Shent bundar, Mora bundar and Raj bundar. Local’s earning mainly depends on cave’s tourism. The island is easily accessible by ferry from Mumbai City. Typically every 20 minutes a boat leaves from Gateway of India to Elephanta Island. Ferry Cost is Rs.130/person (Return ticket). It will take 1 hour for one side traveling. 30 min walkable distance from Elephanta Island boat jetty to the caves.